• How in control of your data centre’s future do you feel—and where have you found challenges with your incumbent provider’s way of working? • How are you coping with the growing challenges of Internet of Things (IoT) data, high-performance computing and artificial intelligence? • How prepared are you to hyperscale, seamlessly provisioning and adding resources from within your data centre? • How quickly can you integrate on-premises and cloud infrastructures; new applications; and compute, storage and network resources? • How much time might your administrators save with an end-to-end software-defined infrastructure? Simplified, unified management—via modernized infrastructure and automated control—delivers extreme performance and reliability, while reducing the burden on administrators. Using the most effective mix of on-premises and cloud infrastructures, applications and resources are distributed across the data centre environment (compute, storage and network resources) on demand and with new efficiency. Purpose-built, ultra-dense data centre technologies provide the performance required for the intensive demands of high-performance computing and artificial intelligence. You can achieve maximum scalability with fully customized data centre capabilities designed to your exact specifications, which is enabled by a broad portfolio, a world-class supply chain and comprehensive services. With the solutions and expertise of CDW Canada and the backing of Lenovo systems – we can end the experimentation of deciding the right software and hardware combination. Lenovo and CDW engineered solutions, and the portfolio of cloud, big data, analytics, database and virtual desktop infrastructure (VDI), bring an ecosystem of industry-leading partners to the creation of simplified, comprehensive application and infrastructure offerings. Exhaustively pretested and easy to deploy, integrate and manage, engineered solutions improve reliability and lower operating costs. 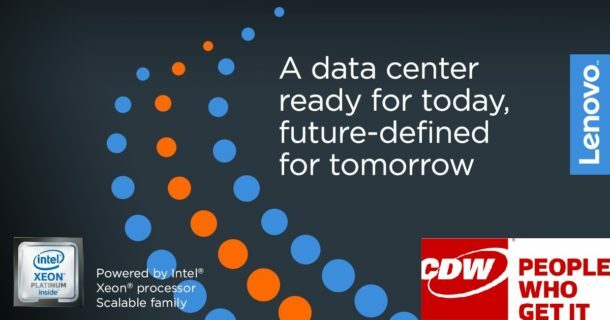 Contact your CDW account manager today to start Preparing for the Future!